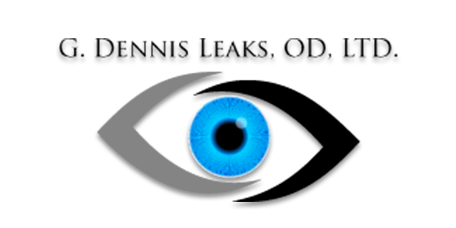 G. Dennis Leaks, OD, LTD, is a full-service optometry practice providing the highest level of care for patients of all ages in and around Pahrump, Nevada. Conveniently located on East Calvada Boulevard, the practice offers comprehensive care and treatment options for detecting and managing eye diseases and vision problems, including vision screenings and comprehensive eye exams, pre-op and post-op cataracts services, glaucoma management, diabetic eye exams, and other state-of-the-art eye disease treatment options, in addition to an in-house lab for prescription glasses and on-the-spot adjustments. Exams and assessments are performed using state-of-the-art computerized technology for superior ocular imaging. Plus, the office provides patients with a one-stop shopping opportunity for contact lenses, specialty lenses, and frames, with more than 500 designer frames in stock. G. Dennis Leaks, OD, LTD, is also a dry eye center of excellence, offering patients the most advanced diagnostic and treatment options to help relieve dry eye symptoms and keep them under control. The doctors are skilled in helping patients take proactive steps to enable them to enjoy optimal vision at every stage of life, providing important exams and screenings as well as lifestyle guidance and treatments for a wide array of conditions. The office features the most advanced technology to enable the doctors to diagnose diseases and other eye and vision problems in their earliest stages so treatment can be initiated as early as possible. Even if you enjoy clear vision, having routine eye exams is critically important for identifying diseases or other problems that can cause problems in the future. To schedule your exam or to find out about the services we provide, contact G. Dennis Leaks, OD, LTD, and book your appointment today. At G. Dennis Leaks, OD, LTD., we accept most major insurance plans. Here is a short-list of just some of the most popular plans we accept. Please contact our office if you do not see your insurance provider listed.